At the core of Tom Kean is the noble ambition that through public service and the determination to turn ideas into action, one person can make a lasting difference. Tom’s call to public service has been inspired by the proud heritage of the Kean family. The grandson of former U.S. Representative Robert Winthrop Kean and son of former Governor Thomas H. Kean Sr., Tom is continuing a legacy of dedicated public service to New Jersey. Tom has answered the call to public service many times in his life, serving as both a volunteer firefighter and emergency medical technician, and now a recognized leader in the New Jersey State Senate. 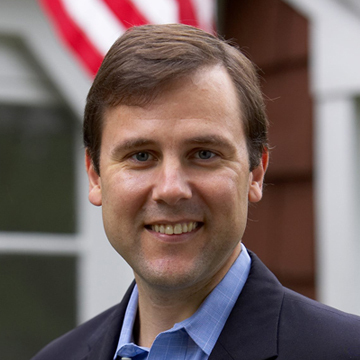 His career in the New Jersey Legislature began in the General Assembly where he quickly developed a reputation as a leader on ethics reform. Overall, Tom has staked out a legislative career that can be described as thoughtful yet determined in its approach to solving the problems facing New Jersey. Tom currently serves on the Senate Higher Education, Senate Commerce and Legislative Oversight committees. He is also the Senate appointee to the New Jersey Council on the Arts, the New Jersey Israel Commission and the New Jersey Amistad Commission. Tom’s colleagues have continuously recognized his leadership abilities and have on several occasions elected him to leadership posts. In the Assembly, Tom was the Chairman of the Republican Policy Committee and served as Vice Chairman for the State Government Committee. In 2004, Tom was unanimously elected as Senate Minority Whip. He has served as the Senate Minority Leader since 2008. Tom’s work in the Legislature has also been recognized by several organizations both in New Jersey and across the country. Recently, Tom was one of only twenty-four elected officials from across the United States to be chosen as a distinguished Aspen Rodel Fellow in Public Service. In 2002, Tom was named one of forty state leaders from the entire nation to be recognized as a Toll Fellow by the Council of State Governments for high achievement and service to state government. In 2005, the New Jersey Conference of Mayors named Tom as a Legislative Leader. He has also received, for the second year in a row, the Amerigroup Foundation’s Champion for Children award for his advocacy on behalf of children’s health issues. Tom also has been named Legislator of the Year by the Fireman’s Benevolent Association and has received a 100% voting record with the National Federation of Independent Business. Tom is a graduate of Dartmouth College where he earned his degree in history. He is currently completing his doctoral dissertation in international relations at Tuft’s University – The Fletcher School of Law and Diplomacy, where he also received his M.A.L.D. and was employed as a Graduate School instructor. Tom lives in Westfield with his wife Rhonda and their two daughters.